The first week of the year can stir up a lot of energy, excitement — and anxiety. The other day, while hurriedly shoving forkfuls of a salad into my mouth (I needed to get back to work), my taste buds suddenly lit up due to a bite-size piece of tomato. It was fresh and delicious. I decided to slow down and enjoy my food. Eating was the only task I needed to focus on at that moment. When you approach your content marketing duties, your only job is to focus on executing your current task as best as you can. Sometimes that task is choosing the right words. As you work your way through the material below, use the following lessons as a mini content enhancement course. You could think of each piece of content you create as a presentation. It’s the enjoyable information you publish in exchange for your audience’s attention. In How to Craft and Deliver Captivating Presentations, Michael Port dissects the features of a mesmerizing speech or presentation, beginning with the words you write. Next, he walks you through a detailed tutorial about effective content development. If public speaking makes you nervous — or if you’re apprehensive about publishing your content online — Michael gives you the framework you need to confidently address your audience. Small changes during your webinars can make a big difference when it comes to turning webinar attendees into clients and customers. What types of changes? Let’s ask Beth Hayden. Beth admits she used to not make any sales from her webinars — until she learned special techniques that turned everything around. Learn how to use them in 5 Insider Tips to Make More Sales During Your Webinars. Optimizing your own copy is a bit like scaling Mount Everest without a Sherpa. It doesn’t matter if you’re in shape; if you go it alone, there’s a pretty good chance you’ll end up a crumpled human popsicle. To avoid that scenario, Aaron’s here to help with The Ultimate Copy Checklist: 51 Questions to Optimize Every Element of Your Online Copy. 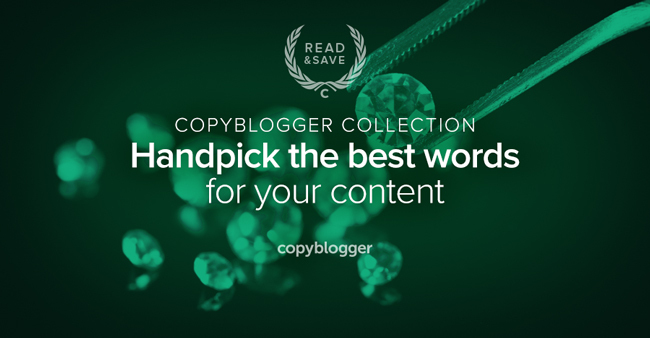 Use this post (and save it for future reference) to help you make smart choices and focus on producing your best work each time you create content. Thanks Stefanie! I found the “How To Craft A Story That Steals The Show” to be the most beneficial. Especially the premise of the “Big Idea”. Nice read and surely helped me as I am a freelance content writer. Great tips! I was wondered about webinar presentations solutions. Will implement them in future for sure.